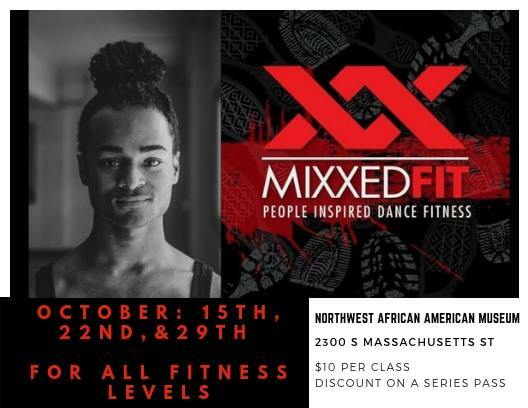 MixxedFit with Randy Ford combines explosive movement and boot camp toning to get you on your feet and in your body while still having lots of fun. The goal of this dance fitness program is simply to KEEP MOVING! This special Date Night series is open to all levels of dance experience. Spend your Friday night with your host/date Randy. Wear something that makes you feel confident, throw on a red lip and get ready to move! Randy Ford (Dynasty Luna), is a Seattle-born dancer, choreographer, actor, and activist. She/they grew up learning choreography in their living room from watching music videos as a child. It wasn’t until the age of 17 when performing became a reality. After some time at the University of Washington, he became a member of Seattle’s Au Collective, a collective of artists committed to bringing women, queer people, and people of color to the forefront of everything it does. This entry was posted by Northwest African American Museum. Bookmark the permalink.